Experiencing vertigo and dizziness with migraines? Migraines affect millions of Americans with crushing headaches and other devastating ailments that make it difficult to work or function normally. Migrainous vertigo, a vestibular disorder causing dizziness, nausea, and balance problems strikes a large percentage of migraine patients. Though it’s not always accepted as an indicator of migraine illness, dizziness and vertigo are common vascular side effects that occur often in people with a history of migraine attacks. Many doctors use a patient’s headache frequency as the measuring stick of chronic migraines, not taking into account other comorbid conditions that occur even without the prevalence of strong head pain. Vertigo associated with migraines can point to a deeper underlying problem that requires medical attention, or at least signify the need for a change in migraine treatment. Nearly 35% of migraine sufferers experience vestibular disturbances such as dizziness, vertigo, and other balance issues. Scientists have seen high correlations between migraine disorder and a variety of illnesses that cause wooziness, unsteadiness, light-headed sensations, and confusion. Benign paroxysmal positional vertigo (BPPV) and Ménière’s disease are examples of vestibular dysfunctions that occur often in people with chronic or episodic migraines. If you experience vertigo or dizziness before, during, or after a migraine attack, then speak to a physician immediately. He may want to order diagnostic tests to rule out stroke, concussion, or brain tumor. For help, your doctor may recommend a visit to a neurologist, osteopath, or vestibular rehabilitation therapists. Lifestyle modifications can help improve your tolerance for pain and help with migraine management. These include light exercise, meditation, reducing migraine triggers in diet, and supplementing with vitamins, minerals, and herbs that benefit migraine-specific neurological functioning. 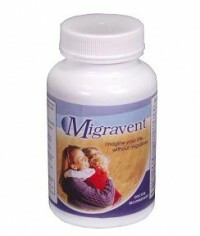 Try Migravent now! All-natural ingredients, 100% money-back guarantee. Buy it now. If you suffer from migraine, do you also experience severe dizziness, even without headaches? What helps to relieve dizziness and nausea? 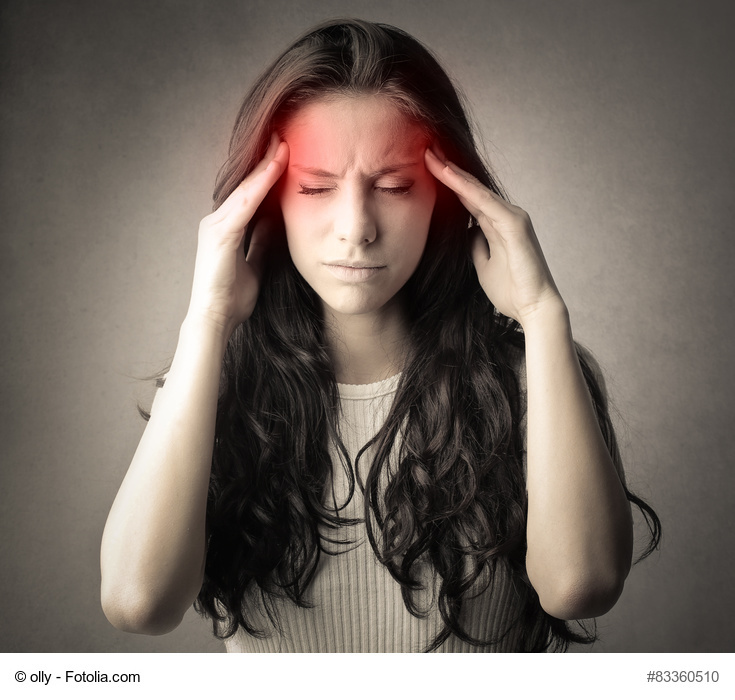 Do you always know if you’re experiencing migraine or tension headache symptoms? Both can occur from extreme stress and fatigue. To prevent rebound headache and find the best treatment possible, it’s important to know exactly what’s causing your headache to begin with. Here is a handy chart to help you learn different symptoms and treatments for migraine and tension headaches. Migraines are a neurological disorder causing a vast array of symptoms, including debilitating head pain that last for hours, sometimes days. In addition, sufferers experience tiredness, nausea, stomach pain, dizziness, and the need to vomit. Tension headaches are primarily caused by stress and fatigue. Headaches from tense muscles are much easier to treat than migraines, as they respond to medication much better. Tension headache: Dull pressure, the sensation of a band strapped tightly across the head or neck. Pain is mild or moderate. Migraine: Throbbing, intense pounding on one side of the head, often at the temple or eye areas. Pain is moderate to extreme, making it difficult to concentrate or think about anything else. Tension headache: Scalp, forehead, neck, temples. Tension headache: Pain increases and subsides over the course of the day, or for several days. Migraine: Headache comes on strong, stays intense for hours. For people with chronic migraines, headaches return repeatedly- more than 15 times per month. Tension headache: Insomnia, neck stiffness, stress. Migraine: Sensitivity to lights (photophobia), scents, and noise; nausea, vomiting, stomach pain, vertigo, distorted speech, partial paralysis, feebleness, loss of consciousness, visual distortions. Tension headache triggers: Stress, tiredness, bad posture, eye strain, hunger. Migraine headache triggers: Food ingredients, scents, noise, bright lights, weather, allergies, air pressure, stress, tension headaches, hunger, irregular sleep patterns, dehydration, cigarette smoke, hormonal fluctuations. Migraine (with aura): Prodrome phase that occurs hours before, causing symptoms such as euphoria, olfactory hallucinations, unusual cravings, and edginess. Minutes before, some migraineurs experience aura- strange visual disturbances and stroke-like symptoms. 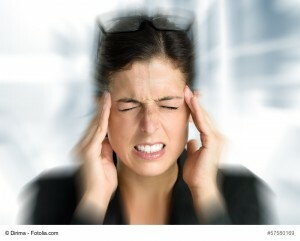 Most headache sufferers- from tension type and migraine combined- are female. Tension headache: Nonsteroidal anti-inflammatory drugs (NSAIDs) are usually sufficient to get rid of a tension headache, although it may take a few days. Migraine: There are many different types of migraines, so only your doctor can prescribe the best possible course of treatment for symptoms of migraine attacks. 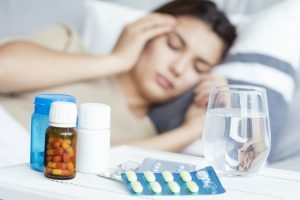 There is no cure for migraine illness, but by using daily migraine preventative treatments, many are able to thwart off the majority of migraine headaches and symptoms of nausea, dizziness, and fatigue. Popular natural herbs and vitamins for migraine help include PA-free butterbur root, magnesium, riboflavin, and coenzyme Q10. Find them here. It’s a myth that migraines are mainly really bad headaches; they’re so much more than that. Many migraineurs are surprised to learn that unusual symptoms like vision problems, vertigo, and olfactory hallucinations are linked to migraine disorder. By playing “connect-the-dots” you can come to a better understanding of how migraines work, and things you can do to prevent them. Chronic migraines are attacks that occur more than 15 times per month. Symptoms can vary between patients, and may not always include headaches. Unless you’ve been to a neurologist or other migraine specialist, you may not have realized that your migraine attacks are caused by “overexcited” neurons in your nervous system. Migraine disorder is classified as a neurological disorder that occurs when certain elements trigger migraine attacks in your brain. 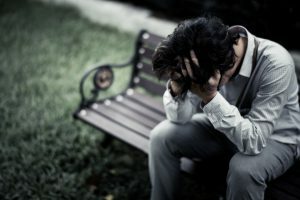 A migraine trigger can be anything from a salami sandwich to a dry martini; from an intoxicating scent to a stressful day. Although there is no universal cure for migraines, doctors are sometimes able to reduce your odds of experiencing an attack by preventing such triggers from invading your nervous system. When a doctor prescribes antiepileptic medicine or antidepressants for migraine headaches, it’s because he believes that the same mechanism that occurs with epilepsy or depression may be related to your migraine attacks. Migraine trigger avoidance is an extended form of migraine prevention, as it focuses on elements in your daily life that make migraine headaches more likely to occur. There are hundreds of migraine triggers that affect migraine sufferers differently. By determining which ones are “red light” triggers, you can effectively reduce the number of migraine headaches you experience each month. Examples of migraine triggers are foods, scents, lights, weather, hormonal changes, stress, eating habits, sleep schedules, and loud noises. To identify your triggers, try using a migraine diary for at least a few months. Take note of things like food, mood, weather, medications, sleep, and anything else you think may be relevant. Doctors recommend alleviating migraine headaches with over-the-counter medications before visiting a specialist. If NSAIDs fail to relieve migraines, then you may be able to get some help from a neurologist or headache clinic. However, many prescription migraine drugs come at a high cost- side effects can include memory loss, addiction, dizziness, anxiety, and even…headaches. Alternative, complementary nutrients are finding their way into conventional migraine practices. Doctors have seen where magnesium or vitamin B deficiency can worsen or trigger migraine frequency. Certain vitamins, minerals, and herbs help to correct vitamin deficiency while also promoting healthy neurological functioning needed to sustain day-to-day living without migraines. In various clinical trials, doctors have found the most benefit when migraine patients take a combination of vitamin B2 (riboflavin), magnesium, coenzyme Q10, and PA-free butterbur root each day. For migraines, the best approach is one that combines the best of conventional and natural applications. 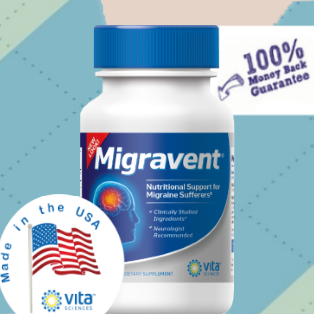 Natural support for migraine syndrome: try best-selling Migravent, with all 4 of the most effective migraine-specific nutrients: magnesium, butterbur, CoQ10 and riboflavin.